Oh yes, my wintry soul needed this loveliness yesterday, when my friend Michael Nelson posted it on her Facebook page. 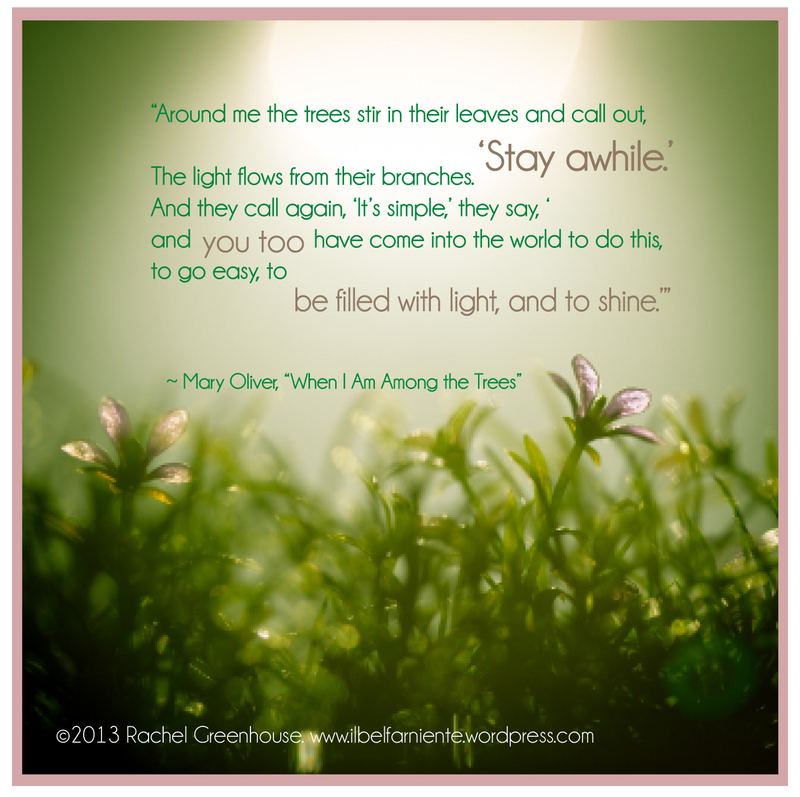 So grateful for Mary Oliver’s reminder that we can always count on green showing up again, one day, someday, soon. I think that we live in Narnia and that the snow will never go away until Aslan returns. Anne-Marie: Il faut durer, n’est-ce pas? wow, Rachel! You worked wonders with this quote! Beautiful!